Let me just start by saying there isn’t a lot about actual painting in this blog post, but be warned… if you love travel, have been to or would love to go to New Zealand, this video might make you buy a plane ticket. 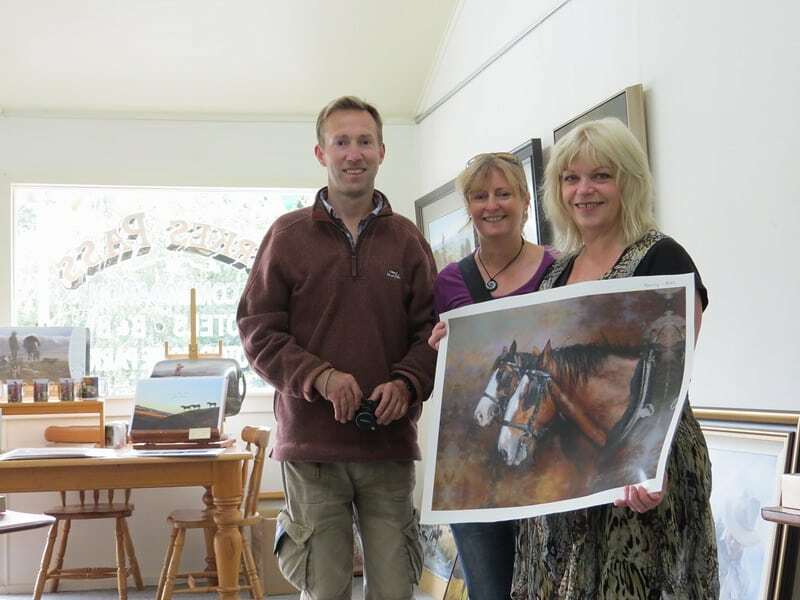 Each year I’m lucky enough to spend a few months in New Zealand painting with fellow artist Karen Neal. I have a long family history with New Zealand, and I’ve visited many times and travelled extensively through the three main islands. On my 2014 trip, starting in Marlborough at the top of the South Island, we took a 2 week road trip covering thousands of miles right around the South Island, heading down the West Coast, down and over to Stewart Island, before returning to Marlborough via the east coast. Make sure your speakers are turned on! 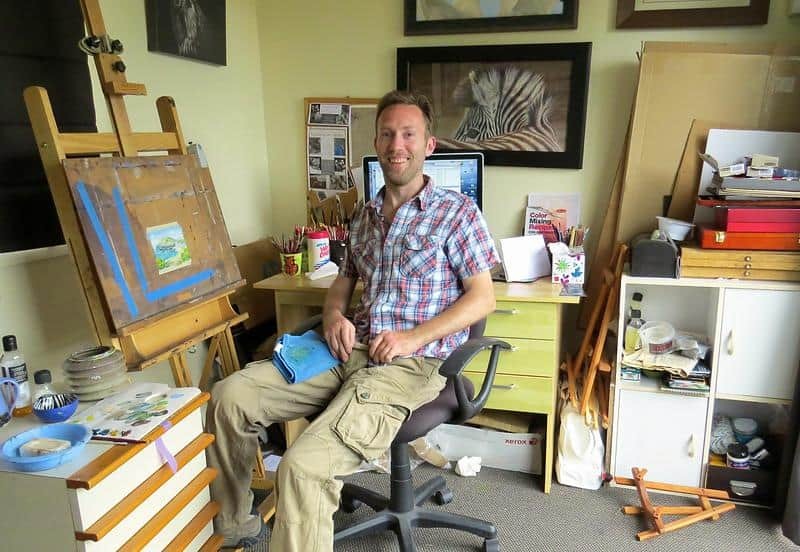 Working in Karen Neal’s studio in Marlborough, New Zealand. New Zealand artist Karen Neal. 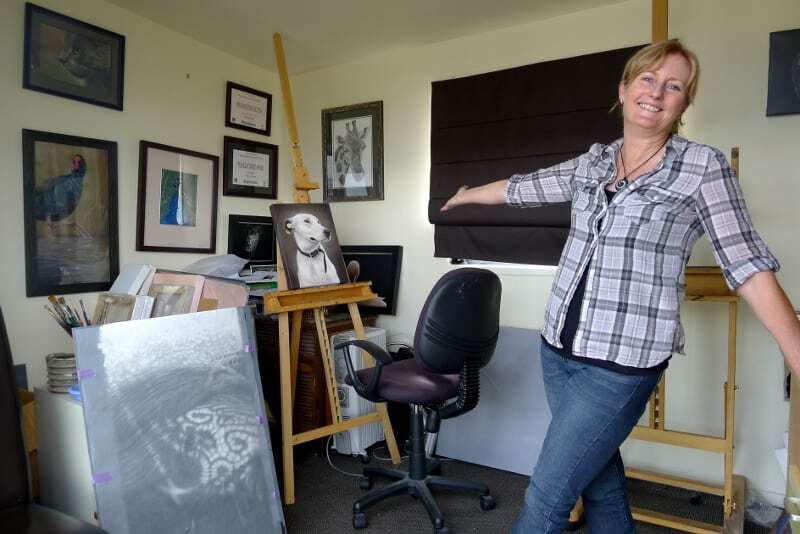 Visiting fellow artist Julie Grieg at her Burk’s Pass studio in New Zealand. You can read about the ‘Sea and Sounds’ exhibition I was involved in on my 2015 trip at the Marlborough Yealands Estate Gallery here.